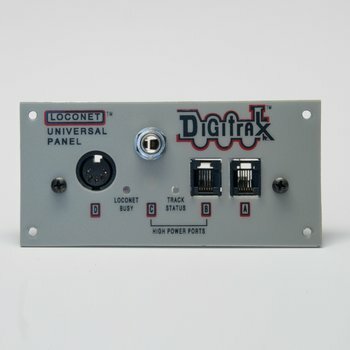 Early Digitrax Universal Panel makes hookup, maintenance and troubleshooting of your LocoNet network system simple. The UP1 provides 2 RJ12 Plugs, One 1/4" stereo jack, and one 5pin DIN connector. 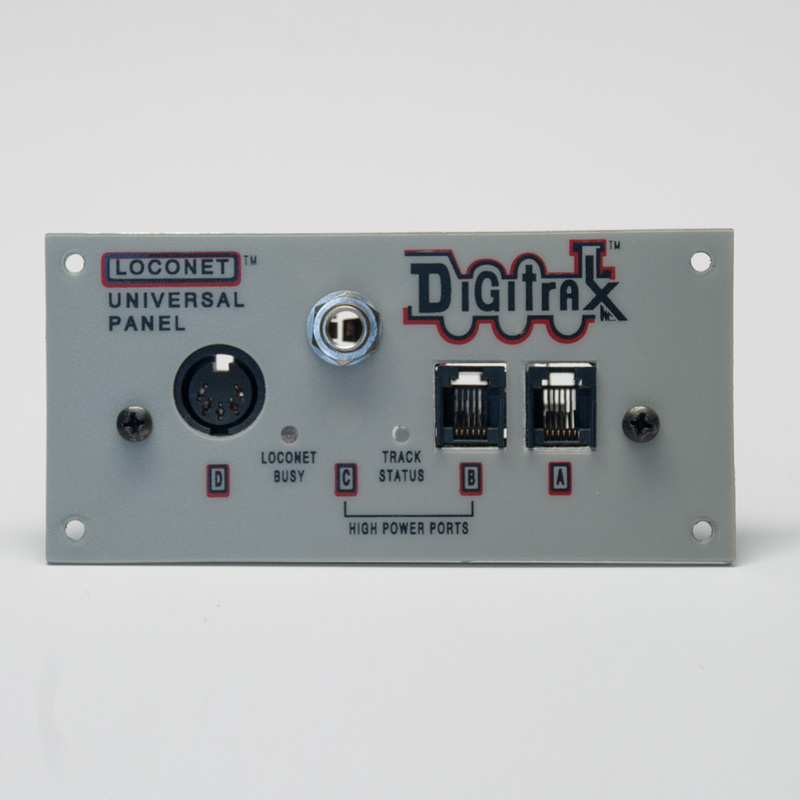 The UP1 has indicator LEDs that show activity on the LocoNet network & monitor the power state of a local track section.